India is a hotbed of activity, despite the crisis it faces. There is a surging civil society movement determined to make democracy work. It is now demanding the implementation of a pragmatic bill to clamp down on corruption and give the country a new deal. A political party which is just a year old with all newcomers who are commoners has taken reins of power in the capital as political dowagers of mainline national parties bite the dust. Business may have slowed down with international market pressures and slack governance that is now punctuating India. But most think it is only a passing phase as the country can ill-afford not to grow. A mood of pessimism has crept into one of the promising economies of the world. The overwhelming feeling is that India needs to put its act together. One area where it could do extremely well is medical tourism. It is booming and has the potential to grow like never before. It is presently earning revenue of over $ 330 million. India has the potential to attract one million medical tourists each year, which the Confederation of Indian Industry says, could contribute $5 billion to the economy. An estimated 850,000 foreign tourists travel to India precisely for medical procedures and treatment every year. This is bound to continue as medical treatment costs spiral in the western world. Projections by industry body ASSOCHAM says that by 2015, the number is likely to rise to 3,200,000. Modern techniques in many Indian hospitals in Delhi, Mumbai, Bengaluru, Hyderabad and Chennai are increasingly making such operations possible. India today offers state of the art treatment today in numerous hospitals that can compare with the best in the world. These hospitals spread out in the cities of New Delhi, Gurgaon, Noida, Mumbai, Hyderabad, Chennai, Hyderabad and Bangalore excel in various specialised areas like cardiology, orthopaedic surgery, oncology, neurology, ophthalmology, cosmetic surgery, Botox treatment, tummy tucks and dentistry. Foreigners mainly come to India to access alternative medicine, bone-marrow transplants, hip and knee replacements, heart surgery, dental care and other areas in advanced medicine. India is facing tough competition from other countries like the Malaysia, Singapore and Thailand as medical tourism is growing rapidly there too. Indian doctors are legends in countries like the United States, Canada, United Kingdom and Australia. Invariably, all good hospitals have Indian doctors. Even Indian doctors who privately practice have a huge clientele as they are perceived to be better professionals than the local counterparts. The westerners have more confidence in Indian doctors having seen their expertise in their country. Assocham is of the view that a city like Bengaluru would do well to develop a multi-speciality health city to cater to medical tourism. It says the city could set up super speciality hospitals for patients seeking treatment at affordable prices. It could include research and rehabilitation centres, pharmaceutical clinics and spas with furnished apartments, villas, star hotels and shopping plazas. Dr. Devlina Chakravarthy, Medical Director, Artemis Health Institute at Gurgaon in the National Capital Region says that foreigners are now coming to India not just to save money on healthcare that is very expensive in the west, but to get quality treatment as India now has excellent state of the art hospitals manned by some of the best doctors in the world. Indian doctors who practice abroad are now looking at prospects to return as the facilities they want are now available. “No more do foreign patients come for minor procedures. Most come in for serious cardiac treatment, orthopaedic surgeries, knee replacements, and oncology related treatments and so on. Tourism is not anymore the focus of these patients as they come in for high end treatment and would rather go back home to recuperate than risk travelling. In fact, we cannot advise them to travel around after a cardiac surgery,” says Dr. Chakravarthy. 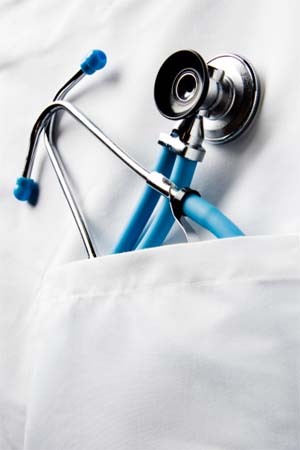 Medical tourism is one of the major external drivers of growth of the Indian healthcare sector. One of the major factors of the growth of medical tourism in India is the emergence of the well educated, English-speaking medical staff, state-of-the art private hospitals and diagnostic facilities, and relatively low costs in comparison to the spiralling healthcare costs in the rest of the developed world. Today, India provides best-in-class treatment, in some cases at less than one-tenth the cost incurred for instance, in the United States. The medical costs in India are nearly one tenth of the costs abroad. According to the India Brand Foundation Report of the India Brand Equity Foundation, a Cardiac surgery would cost around $ 50,000 in the US but only four thousand dollars in India. A bone marrow transplant would cost $ 62,500 in the US and $ 30,000 in India. A Liver transplant that would cost $ 500,000 in the US would cost only $ 45,000 in India. An Orthopaedic surgery in the US costing $ 16,000 would work out to about $ 4,500 in India. Abroad, patients cough up huge amounts because of the expensive healthcare system and related insurance costs. This is heavily minimized in India. Secondly, foreign patients get immediate attention and do not have to wait for weeks and months as they have to in most western countries. The new sleek hospitals and pathology labs in India are centres of excellence with dedicated professionals offering developed world treatment at developing world prices. Hospitals have even hired translators to help the foreigners feel at home and also help in carrying out the formalities. The success rates of treatment in India for these foreign patients are as good as anywhere in the world as the hospitals are equipped with the latest equipment and investigative facilities. The Indian medical industry is growing at an annual rate of around 30 percent catering to patients from the Gulf, United States, Europe, West Asia, Africa and even countries like Afghanistan, Iran and Pakistan. Numerous hospitals like Artemis Health Institute, Medanta-The Medicity, Max Hospital, Fortis Hospital, Apollo Hospital and others are reaping the benefits of medical tourism. The hospitals have arrangements to book flights for patients, pick them from the airport, get them hotel accommodation and attend to their immediate needs before getting them to hospital for admission. Needs of accompanying relatives are also taken care of. Similarly, right up to the time they are dropped back at the airport and bid goodbye, the hospital has systems in place. Dr. Chakravarthy says that it is only a matter of time before India will give countries like Singapore a run for its money as at the moment, some high net worth individuals do opt for Singapore. Many hospitals are now providing such facilities to push medical tourism. Medanta-the Medicity Hospital at Gurgaon promoted by internationally renowned cardiac surgeon, Dr. Naresh Trehan, has over a dozen super specialties, a medical college and a paramedical college. Built on 43 acres at a cost of over $ 493 million, it will integrate allopathic care with alternative treatments, including Unani, Ayurvedic and Homeopathic medicine. It provides telemedicine services as well. To encourage the growth of medical tourism, the government provides incentives like including lower import duties and higher depreciation rates on medical equipment, as well as expedited visas for overseas patients seeking medical care in India. The visas can be extended for a period of three years. While traditional medical treatments are a growing draw in India, a number of western tourists also come in to pursue alternate medicines such as Ayurveda, where it is abundantly practiced in the picturesque state of Kerala in southern India which is one of the most loved tourist destinations in the country. Tourists love the laid back green carpeted fields with swaying coconut trees and breathtaking backwaters. Apart from Ayurveda, there is yoga and naturopathy which is becoming very attractive to foreign patients as they see that these natural systems do not have side effects and produce holistic results. While foreign patients get excellent health care, thousands of other hospitals in the hinterland of India in rural areas and small cities that are run by the government is found wanting. India has a long way to go to upgrade healthcare for its own people. While medical tourism is helping state of the art hospitals and its doctors laugh all the way to the bank, the fact remains that India must also focus on its government run healthcare system that commoners go to. China has a health policy clearly lined out that is aiming to create a healthy nation in another decade or so. A healthy nation like Singapore, for example, spends little on healthcare. India needs to do the same.